Tag Archives for " implants "
0	Why Get Breast Implants in Melbourne? Melbourne is the second largest city in Australia and home to well over 4 million residents. The continued rise in the city’s population has given way to the transformation of Melbourne into a modern and cosmopolitan city. This bustling city had, in the past, a reputation for possessing some pretty conservative values; especially when it came to the stigma attached to women who chose to get breast implants. Meanwhile, in other parts of Australia, like the Gold Coast south of Brisbane, women were fanatical about breast augmentation surgery long before most Australian cities. 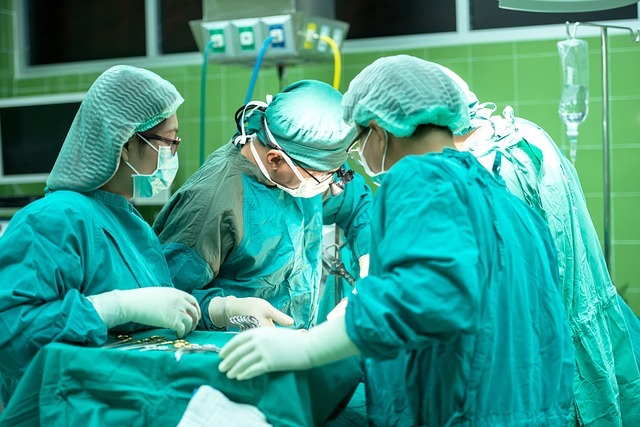 The issues with these smaller metropolitan centers was that there was very strong demand for the limited number of surgeons who perform this type of surgery. Anyone who knows anything about economics can tell you that when you have high demand for a service, and not enough surgeons to perform the procedure, the results become unfavorable for customers. Of course, the outcome of this fierce demand was that women faced extremely expensive costs and lengthy wait times for their breast implant procedures. So, you’re probably asking yourself: What’s different about getting this surgery in Melbourne? The answer is relatively simple. While this procedure is steadily getting more popular in the city, the demand is not quite at the levels seen in other less populated regions of Australia. Due to Melbourne’s sheer population size, however, women in the city have much more variety in choice as to which surgeon will perform their breast augmentation procedure. The market is very different in Melbourne, as compared to the market in the Gold Coast region. The reality is that because this industry isn’t yet as popular in the city, there is immense competition amongst existing surgeons, based in Melbourne, to secure clients. As a result, women have more choice and actually end up paying significantly less for the procedure, than women who undergo the surgery in regions outside of Melbourne. It really is a “customers market” when it comes to breast implant procedures in the city. Make no mistake, the breast augmentation industry continues to grow every year in Australia. As more women undergo this procedure in Melbourne, overall demand increases. However, it’s precisely because the city has yet to see extreme demand for the procedure, that the price for the operation has remained relatively low. The average price for a breast augmentation surgery in Australia ranges from $10,000 to $18,000. This range is so large because depending on factors such as demand and competition in a given region, prices can be driven down or over inflated. This is why the city of Melbourne is a great choice for women considering breast implant surgery. While it’s certainly true that markets can change and prices can begin to rise drastically, some markets are less susceptible to this change; Melbourne is a perfect example of this type of market. The city’s breast augmentation market is unlikely to significantly change in the near future. This is because the demand for these services is unlikely to reach the same levels as demand in other parts of Australia. While in the Gold Coast, more breast augmentation surgeries are performed purely for aesthetic purposes; that’s not necessarily always the case for women who undergo this procedure in Melbourne. As discussed earlier, conservative values still linger in the city; as a result women in Melbourne are much less likely to simply get this surgery purely for the joy that larger breasts can provide to them. Often time’s mothers who have stopped breastfeeding will undergo breast augmentation surgery to restore their breasts to their original condition prior to getting pregnant. Practically, this means that so long as the conservative values in Melbourne hold true, the majority of women in the city will only opt for this surgery to restore their breast’s appearance after child birth. The result is a lower demand for these services and a continued prevalence of lower prices for this procedure in Melbourne. Undergoing breast implant surgery will inevitably be an expensive venture. You obviously want to make sure that you choose a surgeon that you feel comfortable with; but you also want to get the best value for the money that you’ll be spending. That’s why getting breast augmentation surgery in Melbourne is one of the best decisions a woman can make. This unique market provides clients with the freedom to choose from a variety of quality providers; while having the bargaining power to negotiate prices down to the lowest possible rate. By instructing yourself about the distinctive sorts and conversing with your plastic specialist, you can decide the best implants for you. For some ladies, settling on a ultimate conclusion to get breast implants can be a groundbreaking occasion. For some ladies, settling on a ultimate conclusion to get breast implants can be an extraordinary occasion. By teaching yourself about the distinctive sorts and conversing with your plastic specialist, you can decide the best implants for you. A standout amongst the most mainstream restorative methods got by ladies today is breast enlargement surgery. Amid surgery, plastic specialists utilize breast implants to improve the bust zone of a lady fit as a fiddle and size. Numerous ladies choose to get this sort of surgery for an assortment of individual and wellbeing reasons, for example, bust reproduction and to enhance their self-perception. Whatever the reason might be for you, it is critical that you settle on the correct choice on choosing the correct sort and size of implants for you. There are two fundamental sorts of breast implants that plastic specialists use for ladies, which are the saline embed and silicone embed. The embed can be embedded utilizing five unique strategies and the mending time can take up to a month and a half or more. The saline embed is the most well-known embed utilized by ladies. The external shell is made of a solid silicone surface. Amid most surgeries, the plastic specialist fills the embed with a saline arrangement in the wake of embeddings it in the bust zone to give the volume, size, and shape required. It can hold up to 960cc of saline liquid. One of the medical advantages is picking this sort of embed is that your body can assimilate the saline if the embed starts to break or burst. The silicone embed was initially presented in 1991 and has experienced a few upgrades. Not at all like the saline embed, this embed as of now comes pre-filled. Since they can't be embedded into the bust range utilizing a little cut strategy, plastic specialists frequently need to make a bigger cut in view of the measure of the embed. Numerous plastic specialists want to utilize this embed when playing out a mastectomy reproduction because of constrained tissue in the bust range. After you have chosen your kind of breast implants, then next choice you should make is the size. Since they come in all shapes and sizes, it can be a hard choice to make for a few ladies. To help you decide the correct size for you, your plastic specialist will think about your stature, weight, and kind of body edge. On the off chance that conceivable, you ought to attempt to settle on the correct choice on the principal surgery to stay away from another. As a beginning stage, you ought to attempt to discover photographs of the span of breasts you are attempting to accomplish. You can discover them in magazines or on the Internet. Another path is to attempt to make your own embed at home utilizing a pack of rice and a sock. You can include the uncooked rice into the sock to make a few distinct sizes of an embed. By doing this, you can get a vibe on how you would look with a more full bust region. You can likewise check with your specialist to check whether they have tests you can use amid your interview visit. The key thing to recollect is to take as much time as is needed with settling on the correct choice in regards to your breast implants. You ought to feel great and satisfied with the final products. For more information on breast implants and other surgeries then visit our homepage, Find My Surgeon. People of Brisbane wonder about the sorts of breast implants that are accessible. Find out about saline and silicone breast implants, smooth and finished implants, low, direct, and prominent implants and that’s just the beginning. Discover what alternatives you have before you experience breast embed surgery. Today, a wide range of sorts of breast implants for brisbane are accessible. There are silicone gel, saline, finished, smooth, round, and tear molded ones. There are likewise different profiles including prominent, direct profile, and low profile choices. In the event that you need to broaden your chest, you ought to acquaint yourself with the decisions that are accessible. You will find out about the different sorts of choices in this article. Saline additions have a silicone external shell and they’re loaded with saline, which is salt water. Saline additions are firmer than silicone implants, yet they are likewise extremely delightful. It is significant that specific surgical procedures can be utilized to make saline implants look more common. For example, you can accomplish a characteristic look with saline breast implants by having them set under the muscle. These are accessible to ladies who are 18 years of age or more seasoned. They are additionally accessible for recreation to ladies of all ages. Silicone breast implants are prefilled with silicone gel and they are more normal looking and gentler than saline. Numerous ladies have announced that silicone feels like common breast tissue. Silicone additions are accessible to ladies who are 22 years of age or more seasoned. They’re likewise accessible for reproduction to ladies of all ages. Saline and silicone accompany comparative dangers, for example, torment, changes in areola sensation, contamination, scar tissue that progressions the shape, burst or spillage, and the requirement for extra surgery later on. Remember that saline and silicone choices are exceptionally sturdy. By and large, they last around 12 years. Notwithstanding, numerous ladies have announced that their breast implants have kept going the length of 15 to 20 years. What Happens When They Rupture? At the point when a saline embed cracks, it empties. The saline arrangement is assimilated into the body without bringing on any medical issues. On the off chance that your saline embed flattens, you can supplant it with another one or have surgery to expel the embed from your body. At the point when a silicone breast embed bursts, you may not see it. There is no confirmation that proposes that spilling silicone gel can bring about wellbeing dangers, for example, connective tissue illnesses or breast growth. A crack can likewise bring about changes in the state of the chest. In the event that this happens, you can have surgery to evacuate the embed and supplant it with another one. Ladies who get silicone breast implants ought to get standard MRI screenings each two years, as indicated by the FDA. If you need help finding a surgeon then Find My Surgeon is a good site to reference. These are the most important options available in industry if you are willing to do breast implants of your choice. © 2016 Find My Surgeon All Rights Reserved.